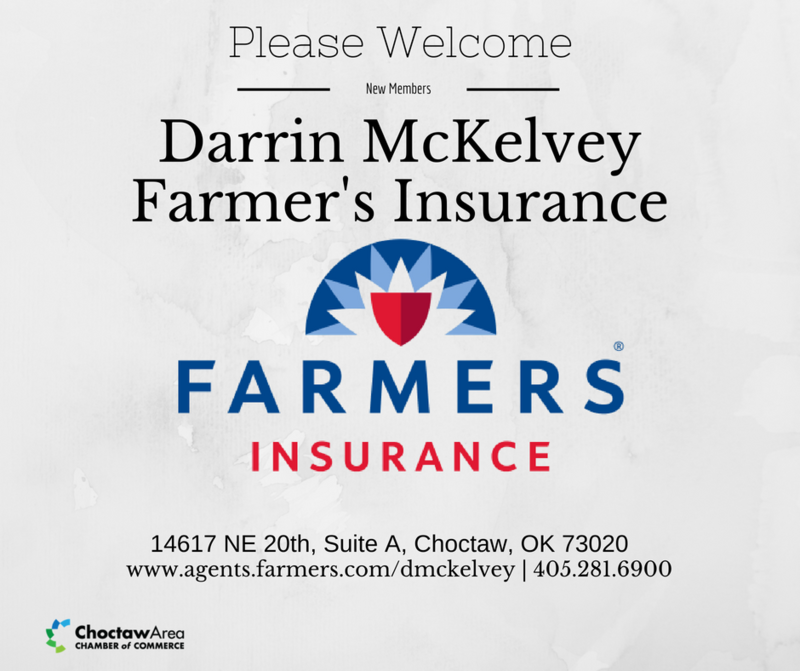 Please join us as we welcome Darrin McKelvey with Farmer’s Insurance to the Chamber. Congratulations on your new adventure, Darrin, and we look forward to partnering with you soon! Please join us as we celebrate Sculpted Medical Spa and Cryotheraphy Center on Thursday, July 12 at 4:00 PM located at 8913 NE 23rd Street. July 4 | Happy 4th of July! Happy 4th of July! 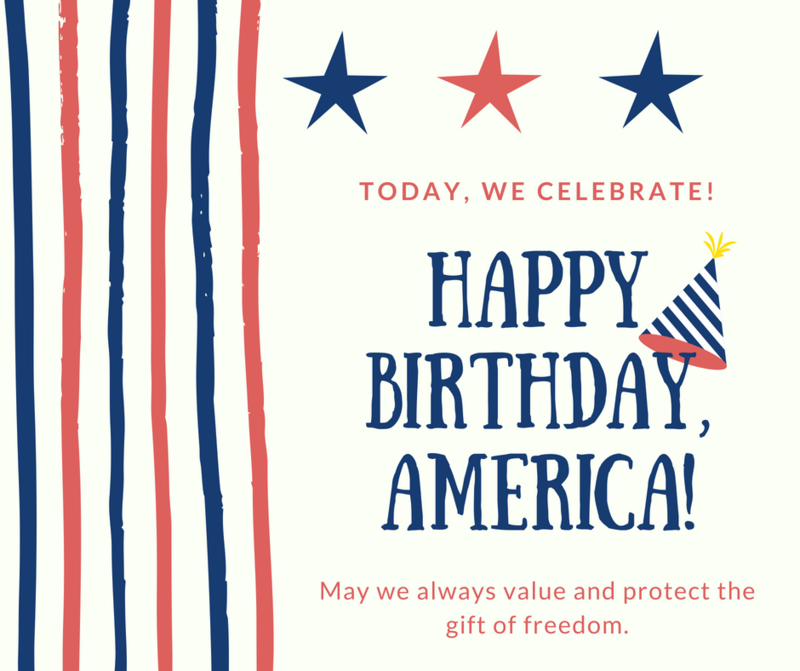 Did you know: The holiday does not celebrate the signing of the Declaration; it celebrates the adoption of the Declaration of Independence by the Second Continental Congress. Be informed. Be involved. 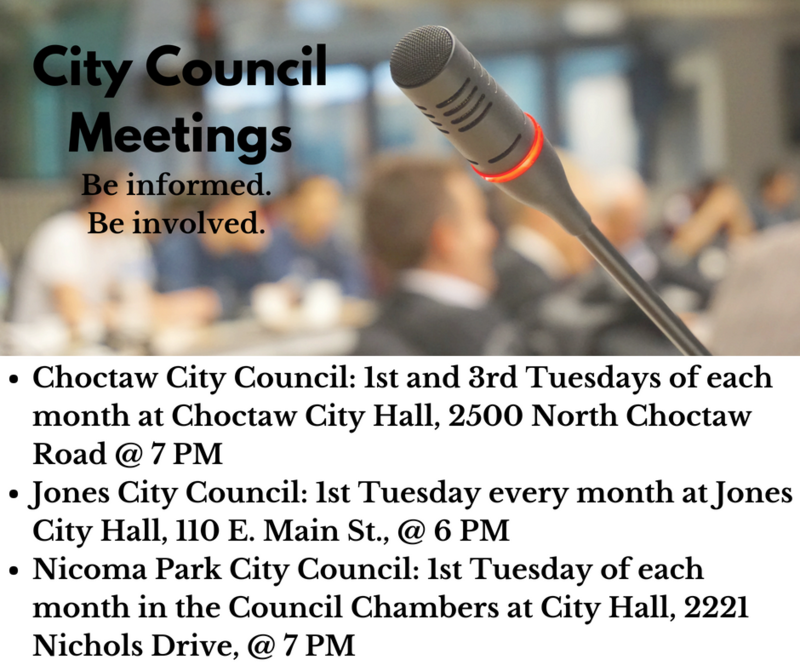 Choctaw, Jones, and Nicoma Park City Councils meet tonight. 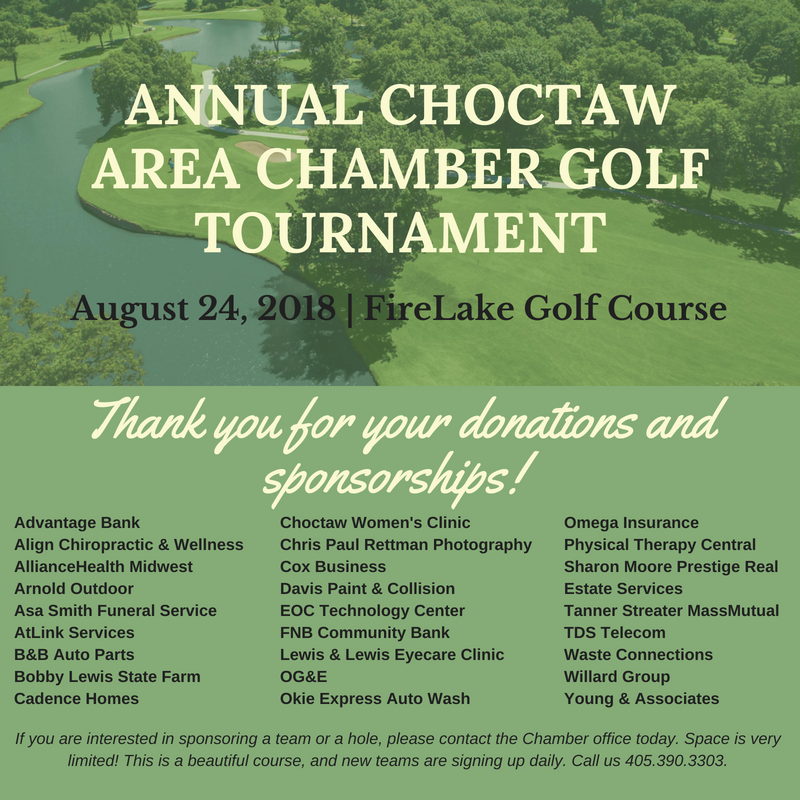 Do you want to know what is happening in your community? Then you need to attend your city council’s meetings. 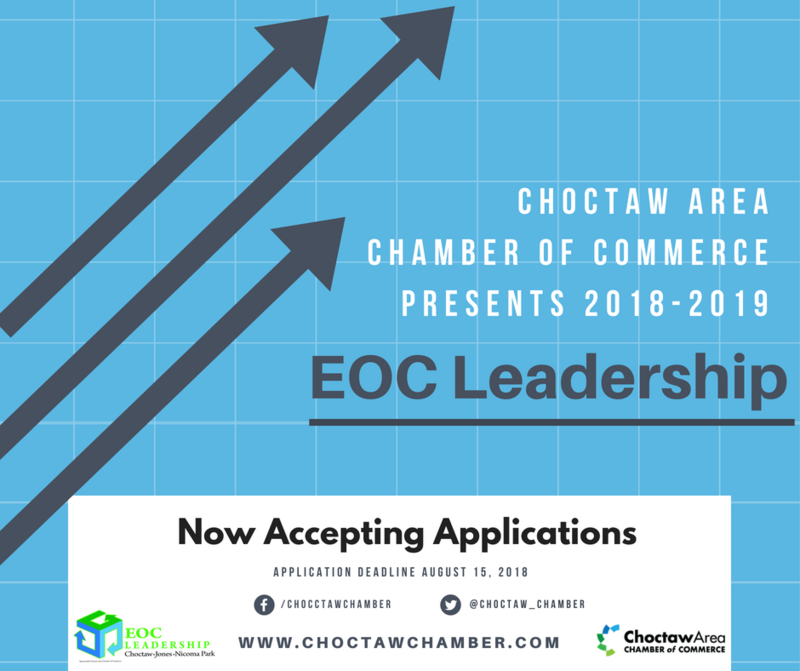 EOC Leadership Applications are Now Available. 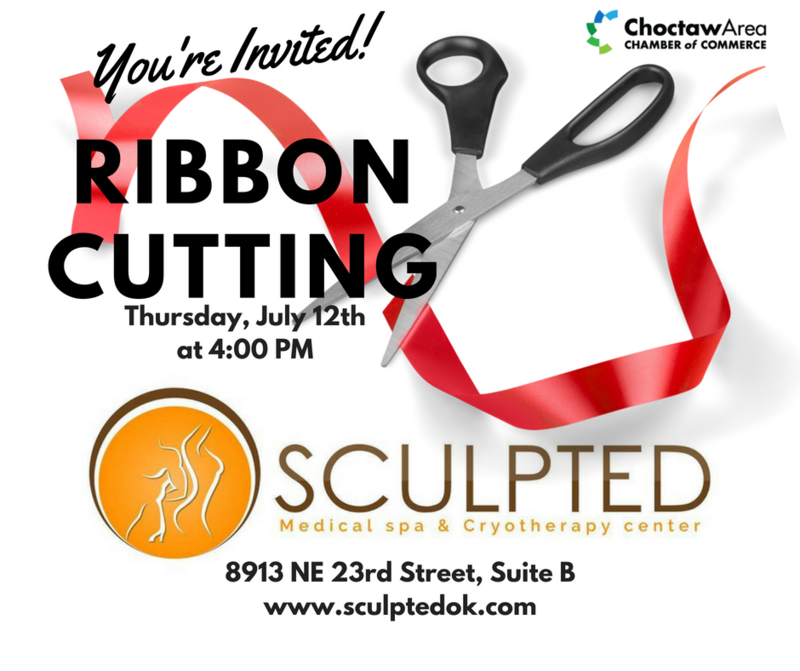 Join us for a celebration and ribbon cutting for Sculpted Medical Spa and Cryotherapy Center on Thursday, July 12, 2018, at 4:30 PM. 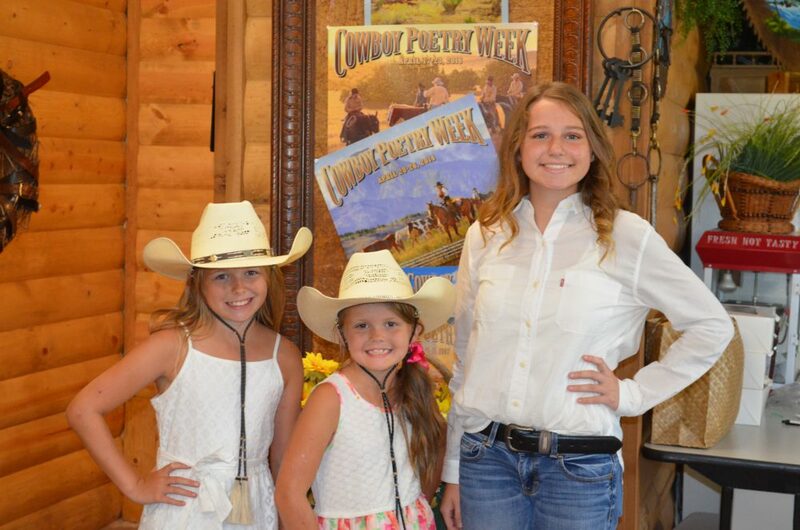 They are located at 8913 NE 23rd Street, Suite B. For more information about what they do and their excellent products and treatments, visit their website here! 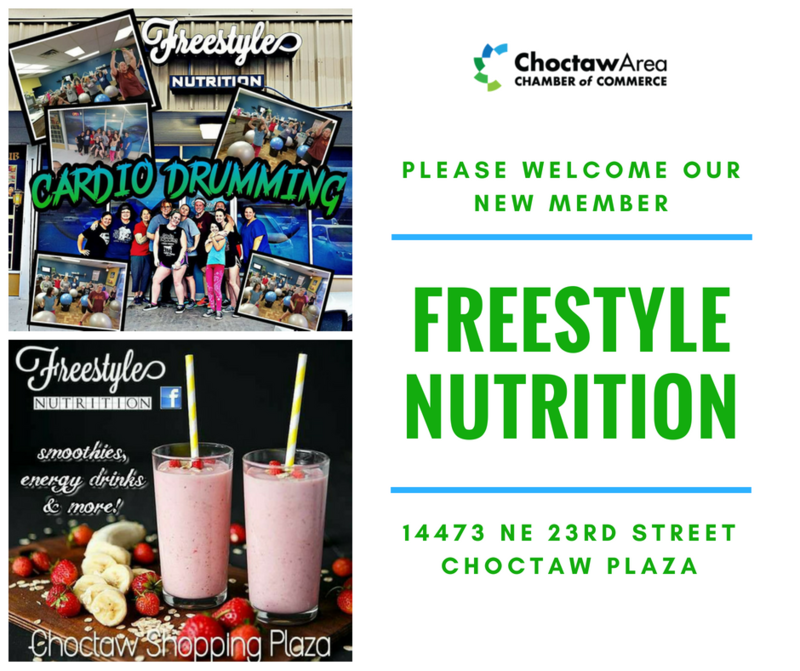 Please join us as we welcome Freestyle Nutrition to the Chamber! If you are ready for a lifestyle change, then Frazel is your guy. Freestyle Nutrition offers shakes, teas, lifestyle coaching, exercise and more. Make sure you visit Frazel to welcome him to the Chamber and get yourself a shake! June 26 | Go Vote! It’s Primary Elections day! 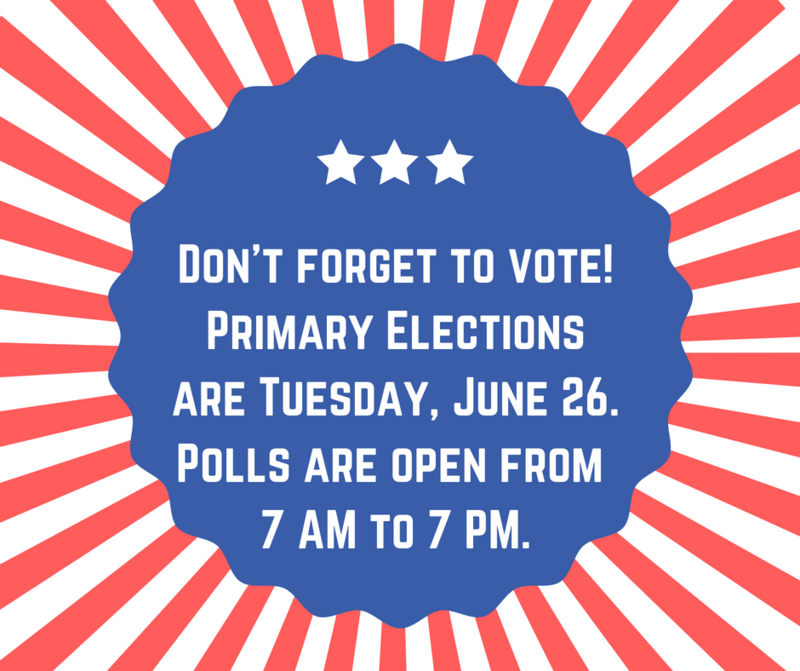 Polls are open from 7 AM to 7 PM today, June 26.